What works to tackle the structural drivers of HIV? How can this evidence inform policy-making and programme implementation? 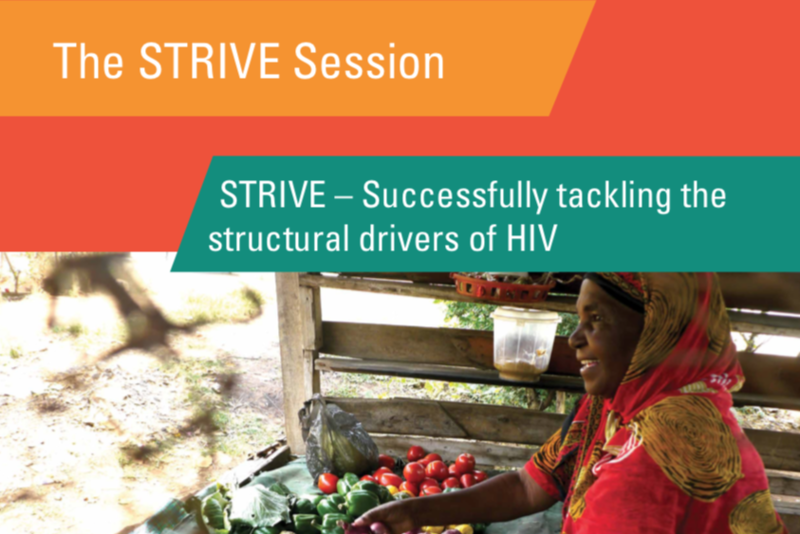 To address these questions, the STRIVE research programme consortium convened a full-day session just before the 2018 International AIDS conference in Amsterdam, co-hosted with DFID, UNAIDS, UNDP and SRHR Africa Trust. The session was attended by a diverse cross-section of policymakers, implementers, civil society advocates and researchers, to debate and exchange knowledge on the structural drivers of HIV. The importance of tackling structural drivers of HIV, especially for adolescent girls and young women. An overview of the STRIVE research programme consortium. Addressing structural drivers in order to achieve the Sustainable Development Goals. Addressing structural drivers in the delivery of comprehensive HIV prevention programmes. What do we need to do differently to tackle the structural drivers of HIV? What opportunities exist for tackling the structural drivers of HIV?